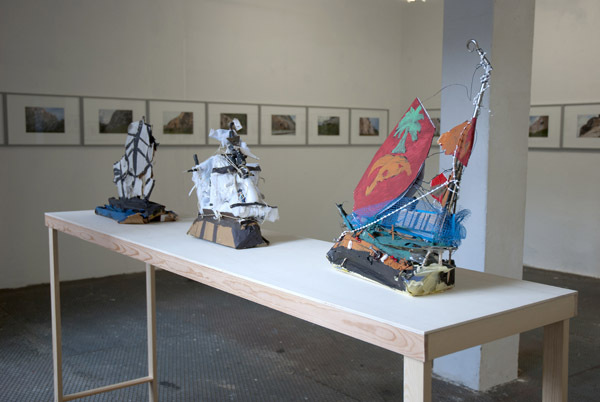 Elke Mohr and Ingeborg Lockemann invite Cüneyt Varol, to exhibit his models of ships, which he created at a (MAE) program sponsored by the employment office. The two-year program aims at preparing unemployed for the labour market, where the participants should carry out charitable activities, i.e. repairing children's books from day care centres, or building historic architectural models of landmarks within a city district with aerated concrete. 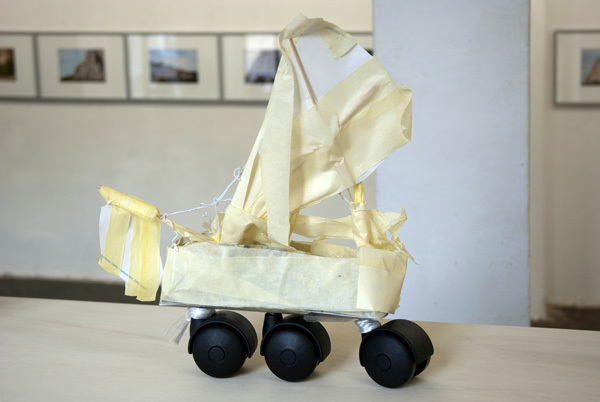 Cüneyt Varol, who would actually like to work as a gardener, built the objects exhibited here with found materials. Within the framework of the MAE program he became artistically active. Beside the objects presented here, he engaged in themes such as self portraits of modern artists and sculptures from different eras. Additionally, he used and explored various techniques and mediums in his work. 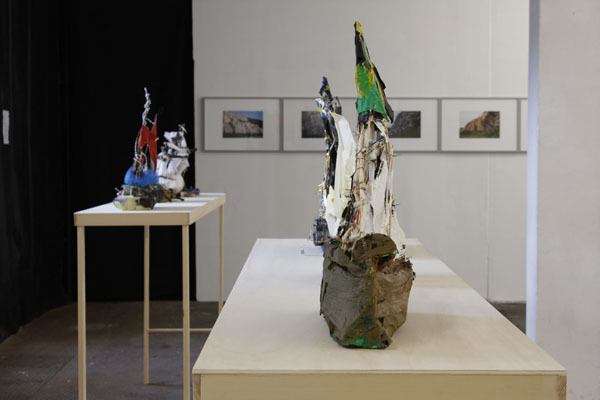 Elke Mohr and Ingeborg Lockemann develop storylines (documented in videos, photographs) and installations. 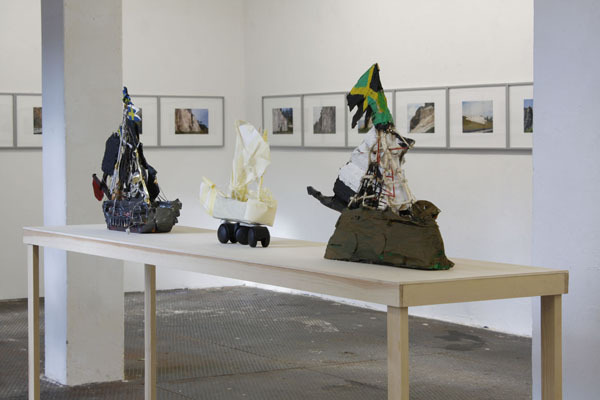 In the latter, they chose to work with existing objects, exploring their interest in displacement of context. They examine and interpret places and social contexts while dealing with the self-perception of artistic existence. Often participation plays a role in their process.